The series of test events for the 2015 Pan Am Games is now well underway and will continue throughout the run up period to the Games. Unfortunately many of these events are not taking place at their Games time venues so unlike London I will not be attending all of them. This last week has seen two tests taking place, first the World Racquetball Championships, took place at Burlington. Racquetball and squash are two Pan Am sports that are not in the Olympic Program so I went along for a quick look to help me with placing the photographers who will work thee sports next year. Racquetball is a notoriously difficult sport to photograph at the best of times and the courts at Burlington were not too media friendly. There was very little room and being only glass backed do not present a wealth of photo opportunities. At the Games the show court will be all glass which will hopefully ope up more flexibility and enable photographers to get better shots. The main problem with a court that is only glass backed is that for 90% of the time the players have their backs to you so you have to watch for the fleeting instances when one or both players turn to face the rear wall. As you can tell from the relatively high ISO of 2500 the light was far from ideal, hoping for better than this next year! 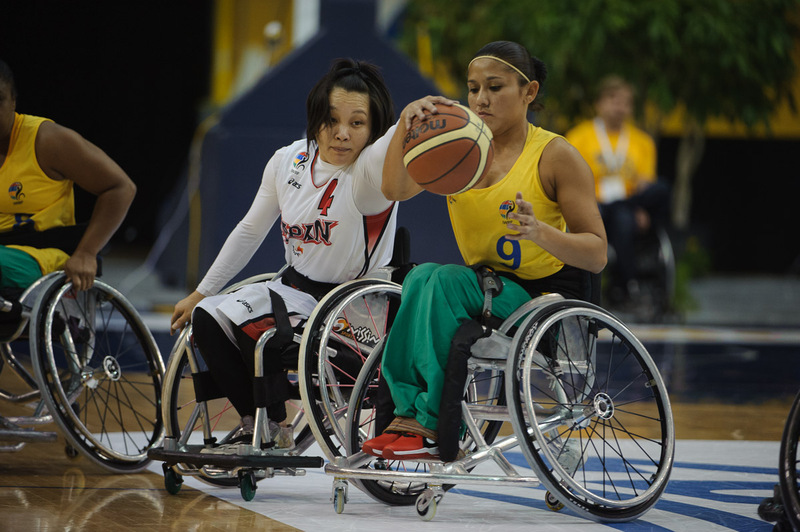 All last week also saw another World Championship taking place, this time the World Women’s Wheelchair Basketball Championships at Ryerson University Sport Centre, which is home to the basketball for the Pan Am Games. Make no mistake about it, despite being in wheelchairs these girls are true athletes and great competitors in their own right. This time working conditions were great, plenty of room to work around the court, excellent lighting and, for those attending next year, a great catwalk to set up remotes. I didn’t have time to set up any overhead remotes ton this occasion but photographers should be able to make great shots here. 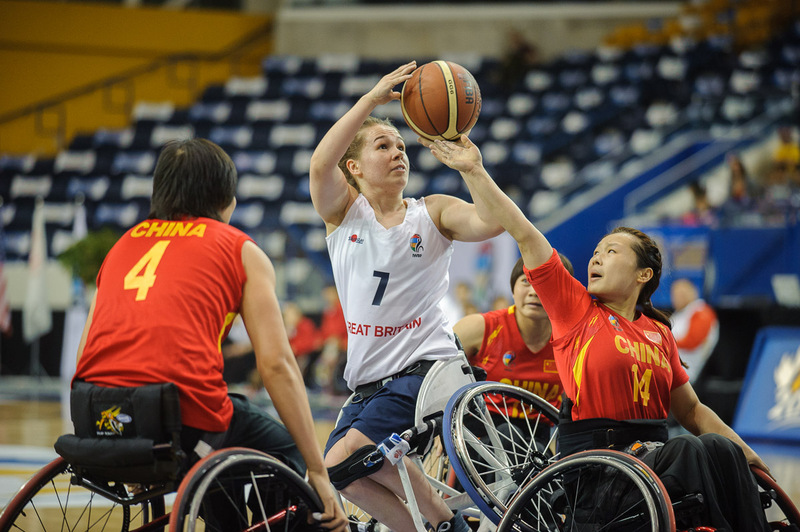 Wen shooting from the end of the court I consistently found myself using one of two lenses – when the attack was at the far end of the court I grabbed the 200 – 400 f4 zoom on a Gitzo Monopod and when the attack was closest to me the 70 – 200mm f2.8. Other than a few wider shots with the 24- 70 f2.8 these two lenses were used for 90% of everything I shot at courtside. Note how in this image I have elected to open the aperture a little more to push the shutter speed a little higher. This is because the 200-400 was supported on a monopod but I am hand holding the 70 – 200 so want to absolutely eliminate camera shake. Remember more images are ruined because you don’t select a high enough shutter speed when hand holding to eliminate camera shake that any other cause! Watch out for some important news about my sports photography coming in the next few days. Next PostNext Take me back to the ball game!